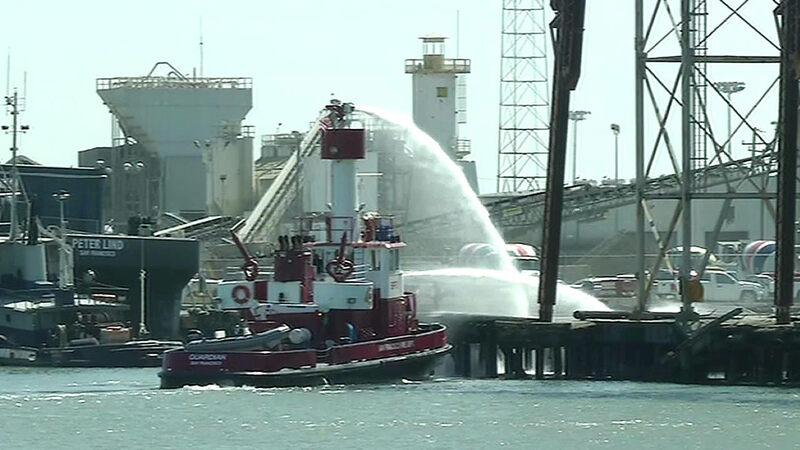 SAN FRANCISCO (KGO) -- San Francisco's fireboat extinguished a small fire at Pier 90 near Amador and Third streets on Tuesday. The fire started near a cement plant behind huge grain silos located just off the water. Crews had to drench the area with water several times as smoke kept coming from the base of the pier. Officials say no injuries were reported and are investigating to find out what caused the fire.